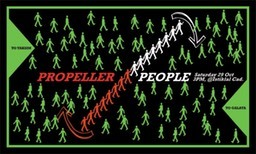 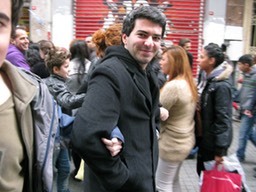 Propeller People is a play in public space, creating a line formation by holding hands. 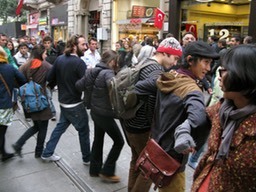 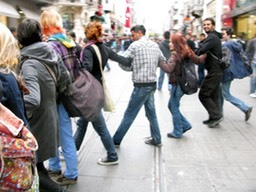 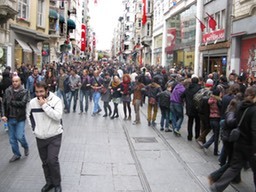 The formation functions as a human revolving door, rotating around a fixed point in the middle of Istiklal Caddesi, an extremely crowded pedestrian street in Istanbul. 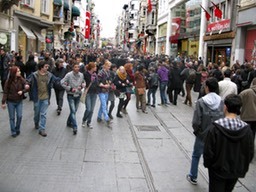 The movement is ‘controlled’ by the pedestrians who walk pass through it.